ü 600V (Ph - N), 1000V (Ph - Ph) True RMS volt measurement. 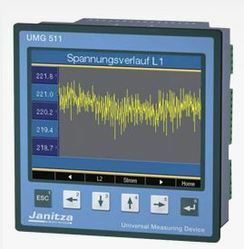 ü 100 A True RMS Current Measurement. - 4 Line Ultra Bright Red LED display to show phase wise & System Parameters on same page. - Site Programmable CT & PT Ratio. Power Quality Analyzers, Energy Monitoring System, Power Quality Monitoring, Automatic Report Generation, Remote Access of Energy Data etc..
Akanksha Power And Infrastructure Pvt.ltd.